The Caribbean has, literally, hundreds of little islands that dot its tepid waters! 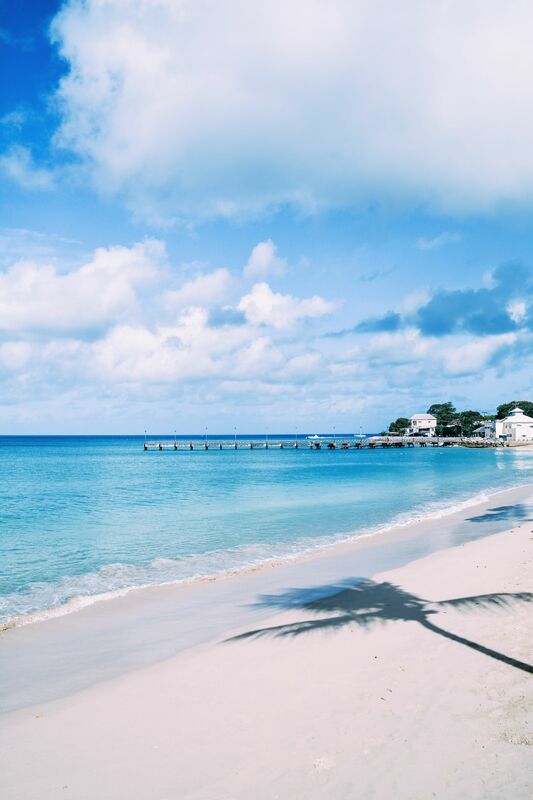 From the beauty of Aruba, the many beaches of stunning Antiqua to the crystal clear waters of Barbados, the Caribbean are truly a holiday-maker’s paradise. 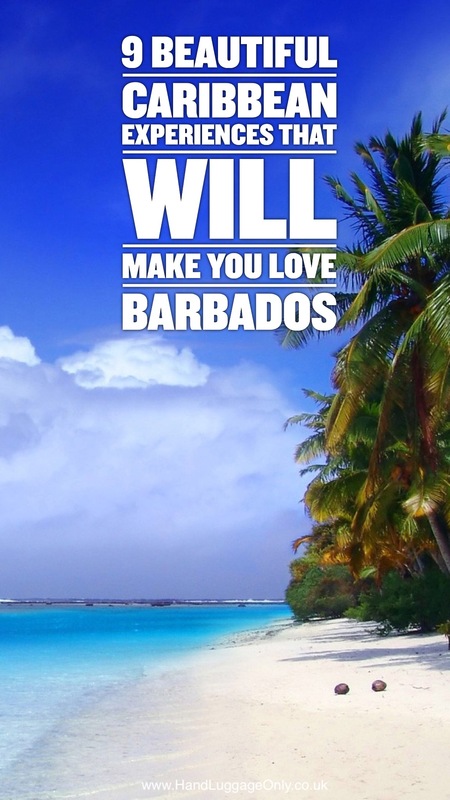 Barbados offers so many opportunities to see and experience a mind boggling array of different Caribbean delights hence making it a perfect island to explore. 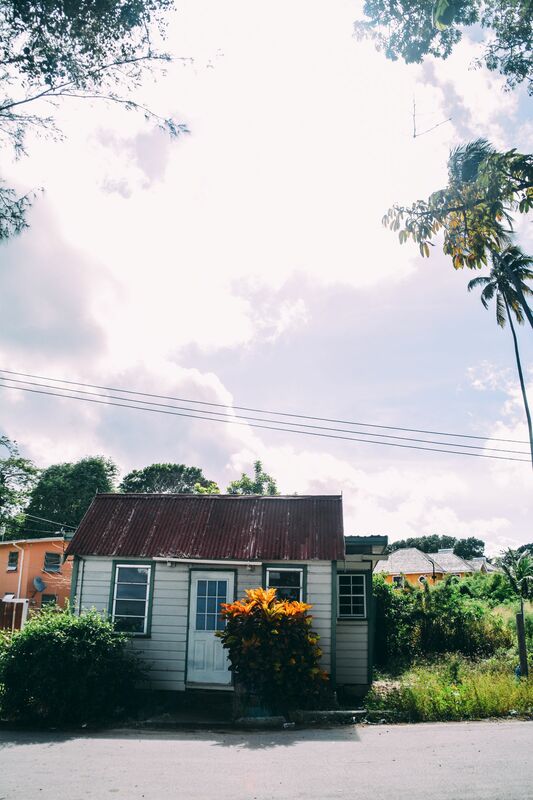 Perched right on the very edge of The Caribbean Sea, Barbados is one of the most dreamy islands I’ve ever visited and one that I’m already saving my pretty pennies to return to again! 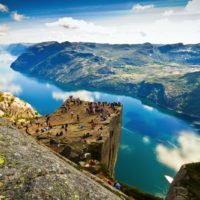 Take a look at the very best Caribbean experiences that’ll make you want to visit this stunning island. 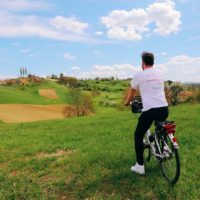 This experience is EVERYTHING! 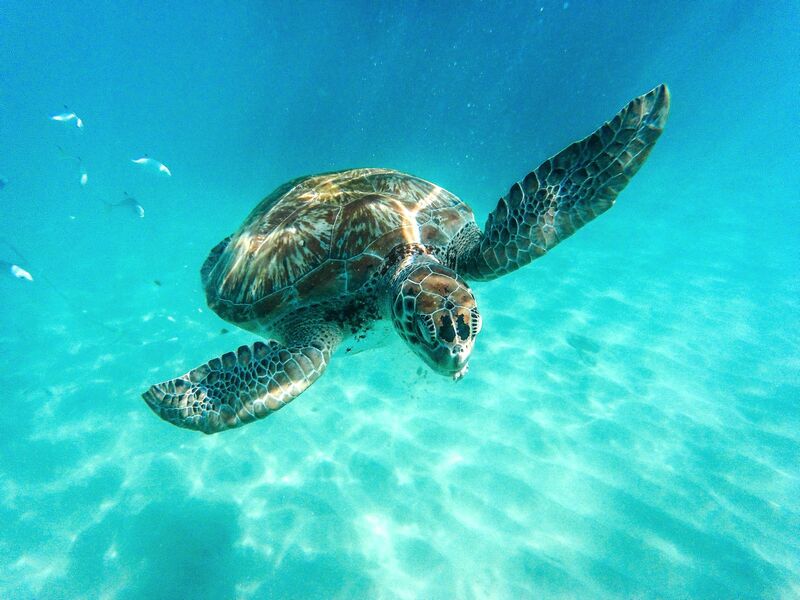 Arrange a sailing tour around the island for an up close and personal experience with these beautiful creatures. 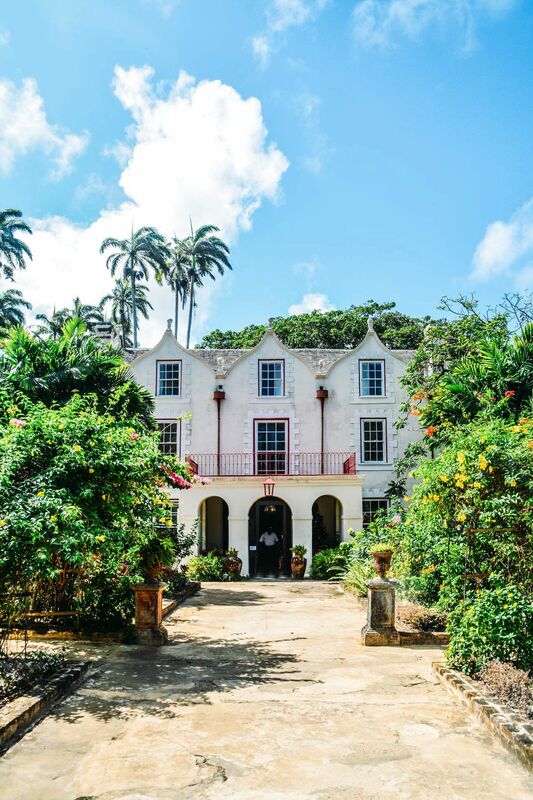 Some hotels offer free excursions too, like the one I stayed in – The Club, Barbados. 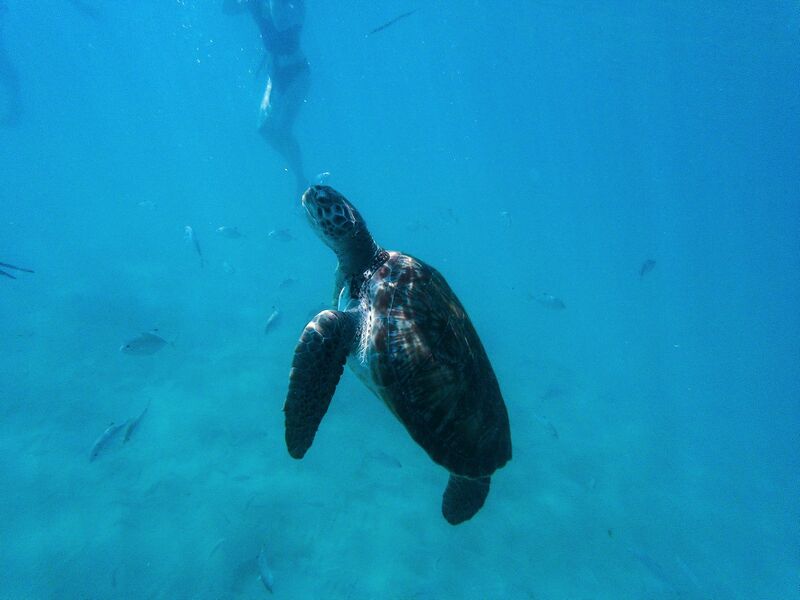 Top tip: The turtles are very friendly though they look gigantic (and a little terrifying) when they’re swimming straight towards you! 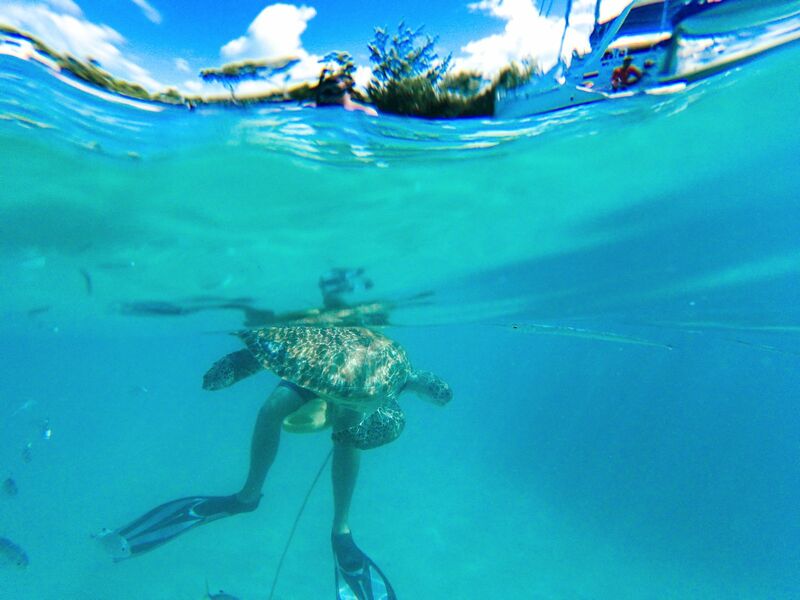 Take a look at some of the best tips to swim with turtles! 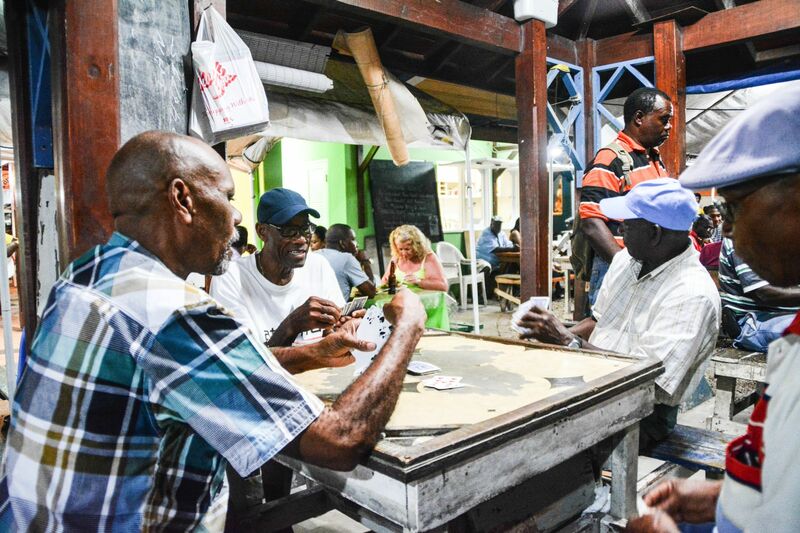 The east coast of the island is markedly different from the Caribbean west coast. 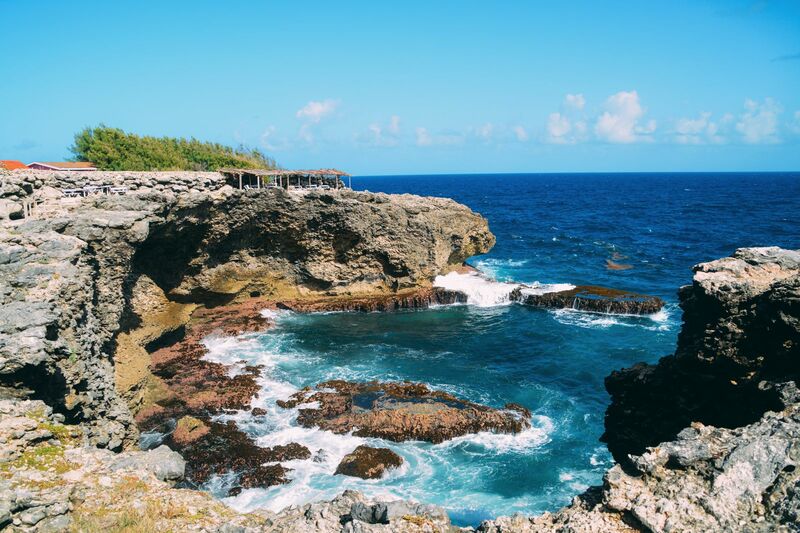 Its rugged Atlantic coastline and sea winds make this part of the island the perfect place for surfing and even seeing some of the best geology in the Caribbean… Yikes – my inner-geographer just popped out to speak (I spent years studying this at Uni so I am a little excited than most when it comes to this stuff). 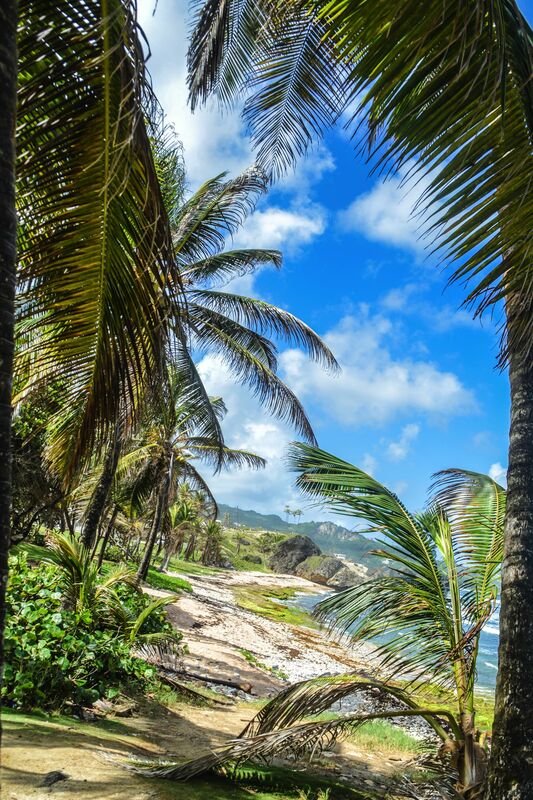 🙂 Take a drive down the whole east of the island and see a side of the Caribbean unlike any other island! Top tip: Sea currents are strong on the east coast. Don’t attempt to swim outside of your comfort zone or far from the sea’s edge. 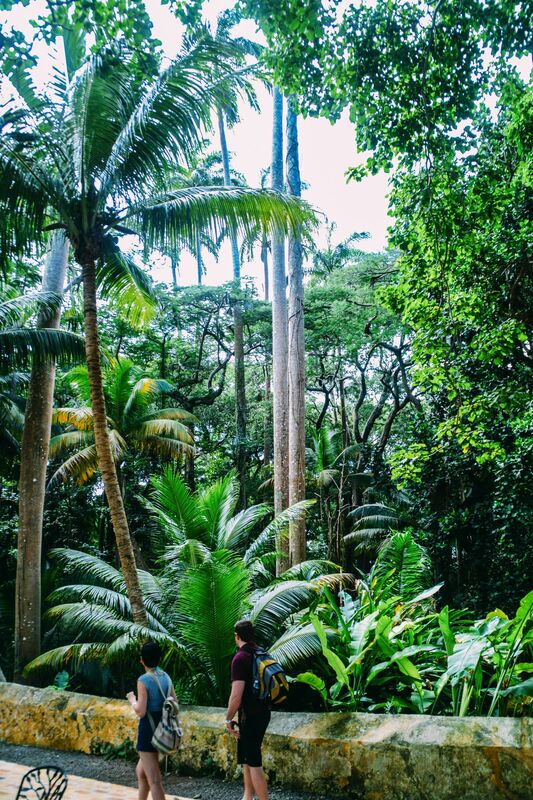 Top tip: Despite it being a side-attraction, definitely make time to explore the stunning rainforest that surrounds this distillery (rum in hand of course). 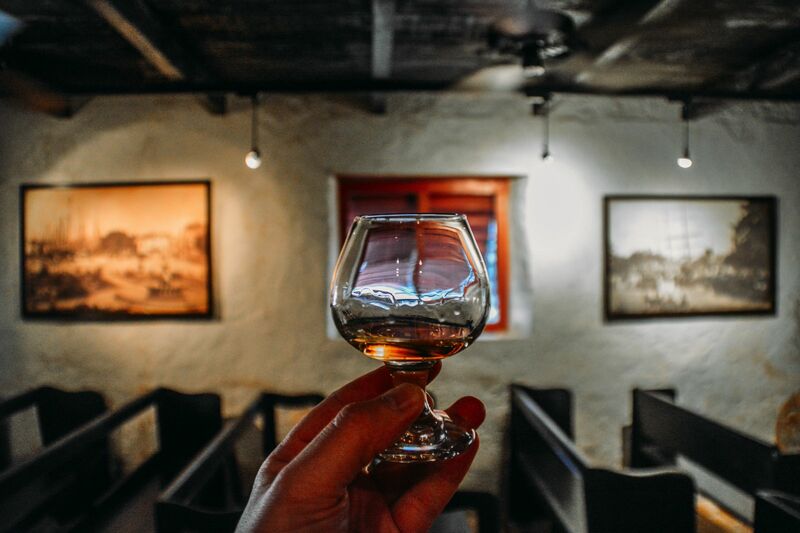 Read more about this delicious rum and rainforest in the heart of Barbados! This cave is pretty well hidden on the north eastern coast of the island. 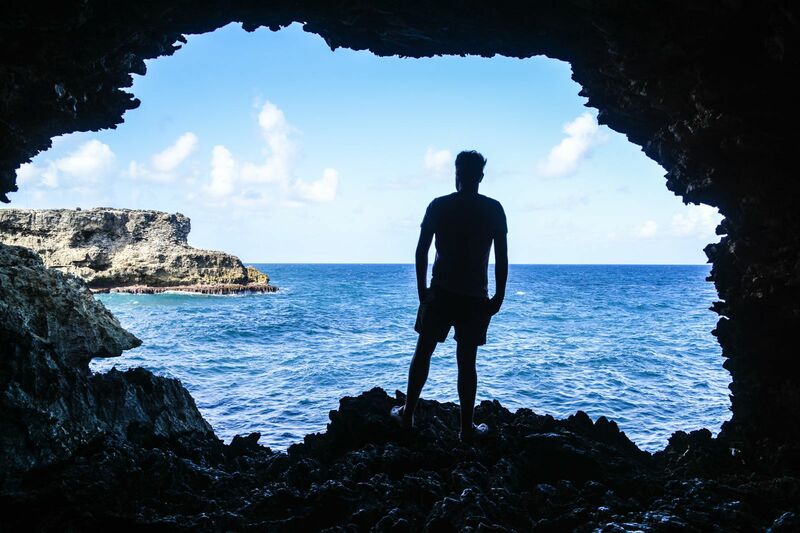 Get here by car and discover a a cave that opens out onto the cliffs of the ocean! Your visit won’t last longer than 30 minutes so it’s an easy addition to your drive through the island. Top tip: Make it the starting point of your day and work your way down the east coast. 5.) Eat dolphin… it’s not what you think! 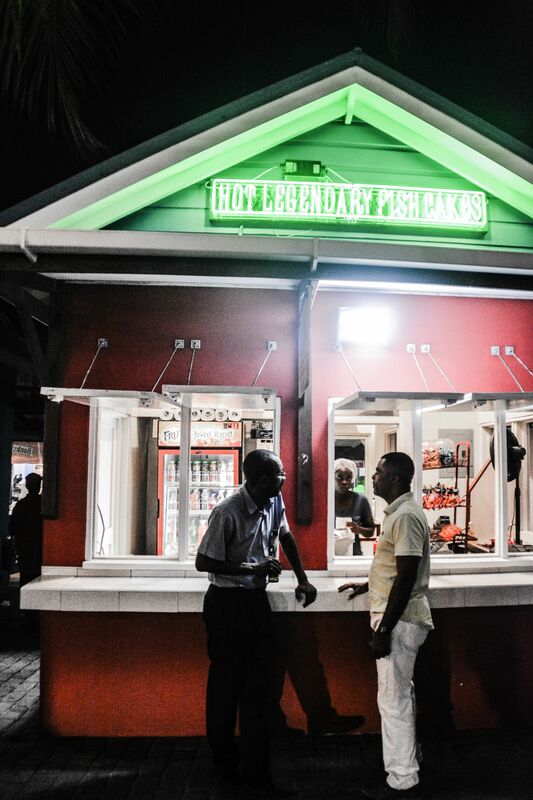 Top tip: Make sure to try it from a local market or Oistin’s Fish Fry, which has the freshest catches of the day! 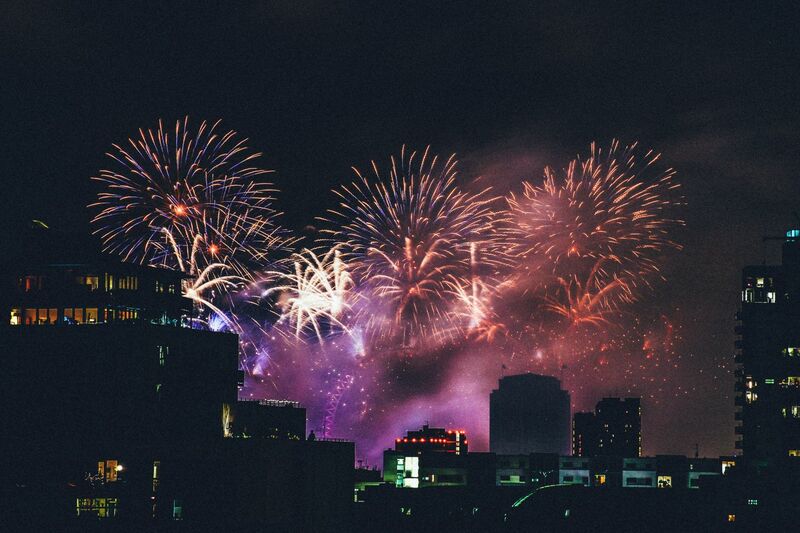 There’s such an amazing party spirit in Barbados at the weekends! 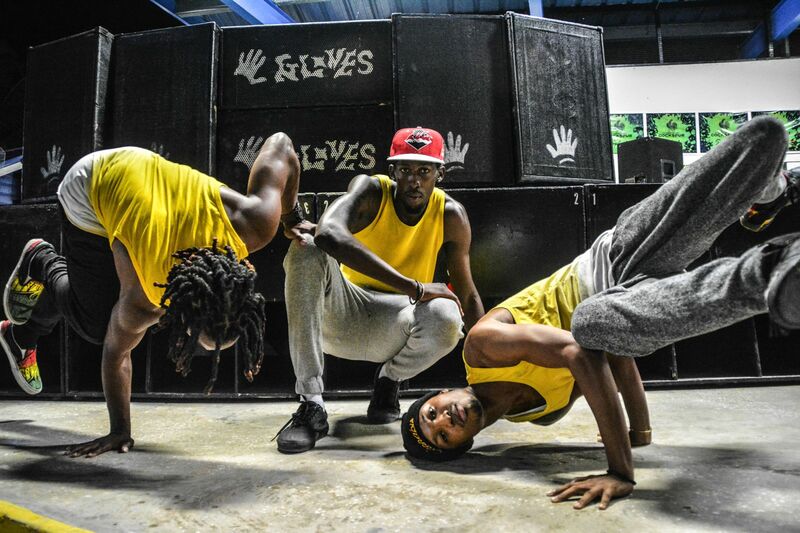 Grab yourself a rum punch, head down to the biggest towns of Bridgetown or Speightstown to discover some local Caribbean dance groups that dance infinitely better than you or I ever could! 😉 We would attempt to out-dance them, you and I, but those rum punches won’t drink themselves now will they? Top tip: These guys usually visit Oistin’s Fish Fry every Friday so watch out for them! 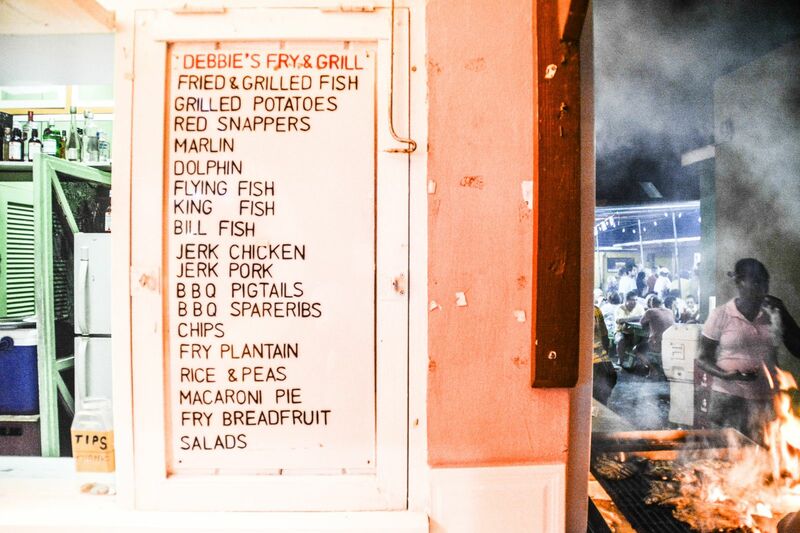 Oistin’s Fish Fry has become an institution in Barbados, where locals and visitors dance, eat and drink the night away! 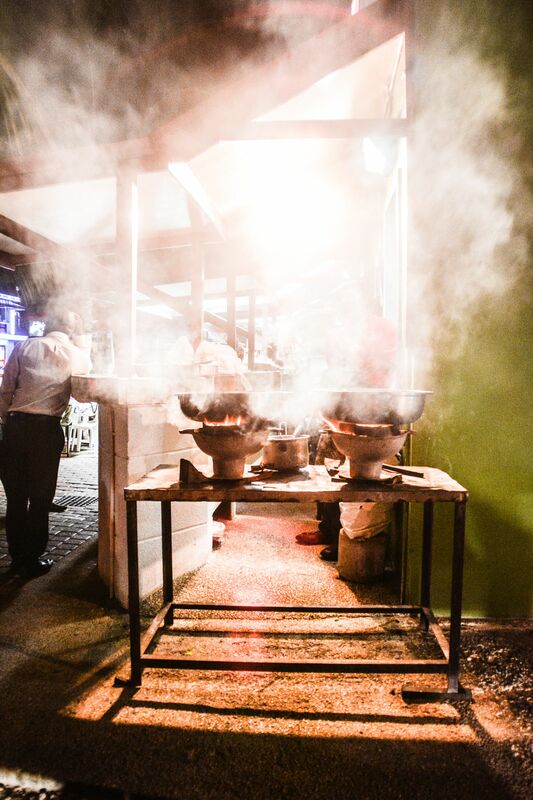 Visit on an empty stomach and fill your boots with the best fresh fish, jerk chicken and fried plantains! Top tip: Visit on a Friday when EVERY stall is open. 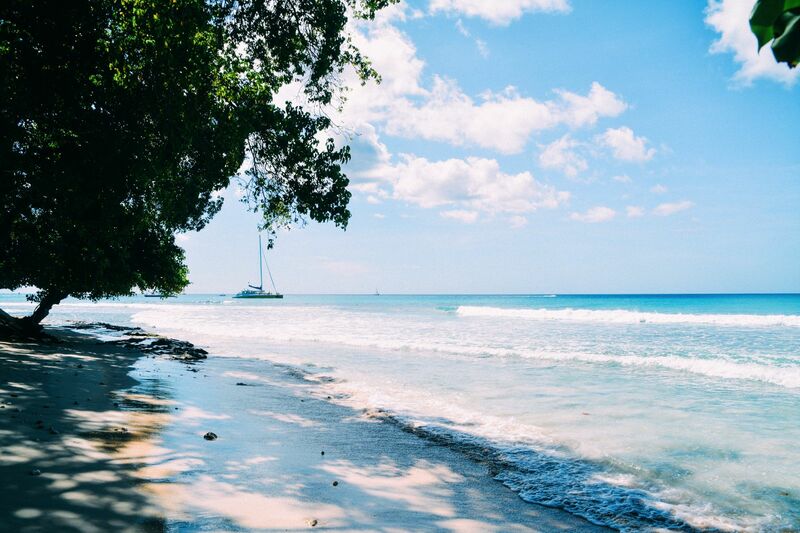 Just when you thought Barbados couldn’t get any more beautiful, you jump on a catamaran to sail around the island and see an entirely different side to the island! 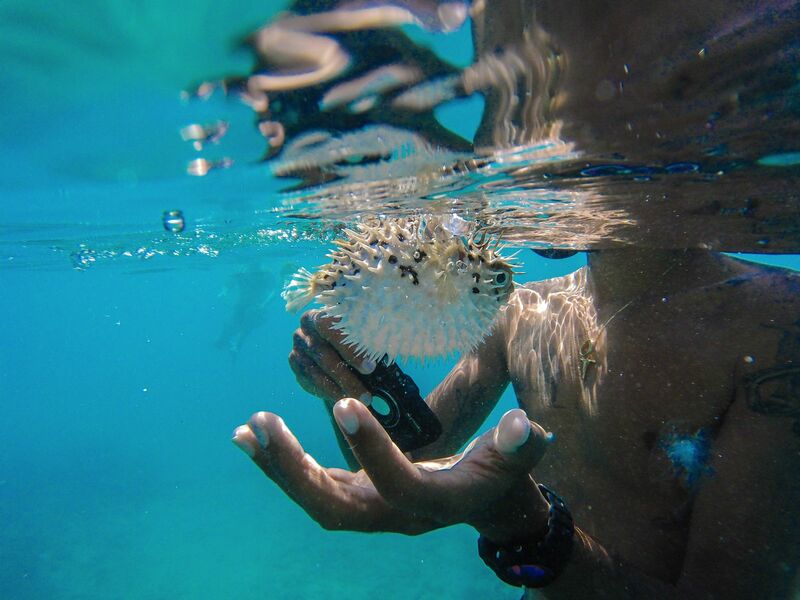 You’ll get to try lots of local foods, swim with turtles (a nice tick off the list if you haven’t done so already) and you’ll probably come across a puffer fish or two! 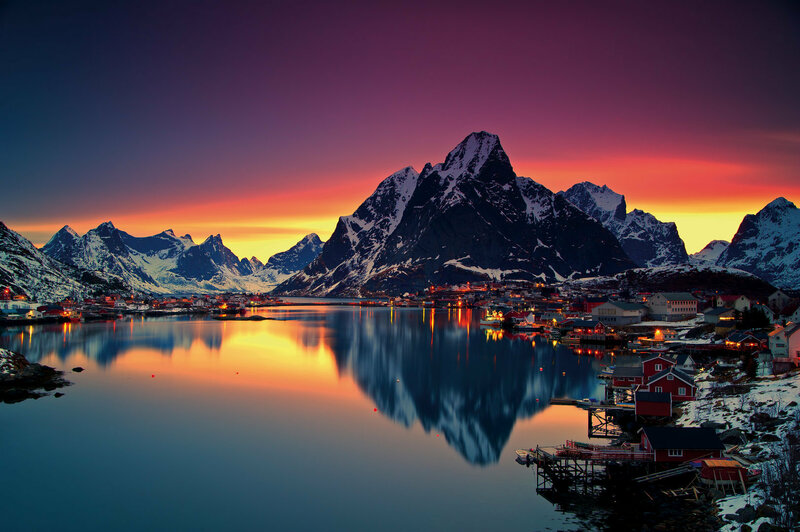 Read more about the perfect sailing trip here! 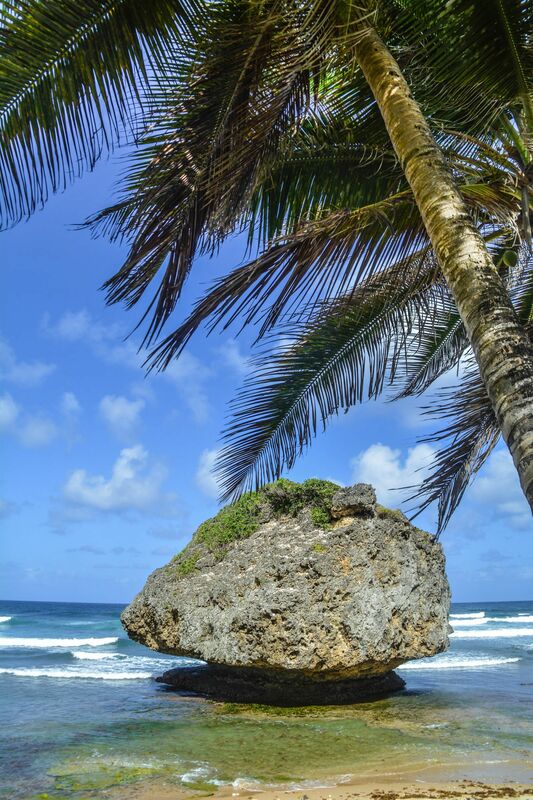 Every beach in Barbados is publicly owned, that means that you’re allowed (and encouraged) to visit every single one! 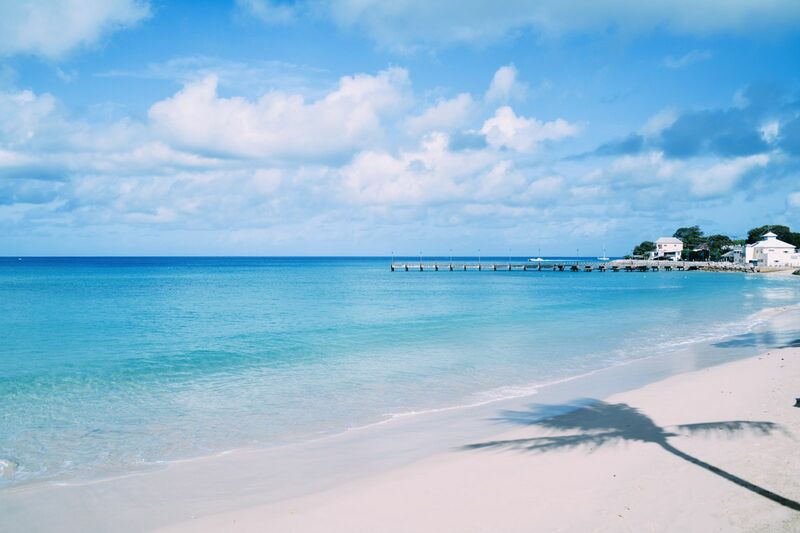 The best thing about Barbados is that there’s so much to see and do if you choose to be active yet, on the flip-side, if you prefer a little rest and relaxation one of these many beaches, you’ll be spoilt for choice.